Everyone always asks, "Why food?" Sure, it is one of life's greatest pleasures, but why does "#foodie" trend so well? Why are beautiful photos of food so popular on social media? Why do we love the taste of freshly baked bread, a perfect combination of flavors that complement each other, and a delicious, full-bodied glass of wine? For me, it is more than flavors or aromas; it is sharing an experience. 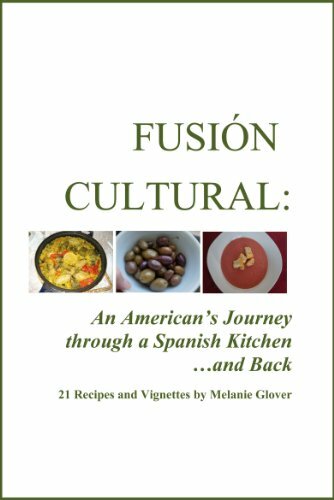 In 2013, I discovered a unique cookbook that offered cultural lessons through glimpses into various Spanish cooks’ recipes and meal preparations through their personal and family stories in Spain. Culinaria Spain opened my mind to the concept that lives are lived through and with food, which becomes the basis for conversations about how to improve the policies and regulations that affect food and individuals’ relationships to it. I recall a story from the book in which one of the featured cooks was also a farmer, and he commented that almost every part of Spain’s beloved pig is used for human consumption. I thought about how that example would translate culturally to the US, and I could not think of an animal that we might value here for all of its edible (and not-so-edible) parts. That book inspired me to write my own cookbook, which compiles recipes I learned throughout my time living in Spain over two years paired with vignettes about how I came to know a particular dish and what it means to me. The Spaniards’ attitude toward food influenced my thinking about food in the US. I felt encouraged to help others in my own country understand the nutritional and social value of food. I also developed a passion to – one day – know enough about the food regulatory landscape in the US to help shape food policy in a way that brings the values I learned in Spain to the forefront of the conversation about food in this country. In summary, my personal beliefs are now that food should be fresh; as whole as possible; not wasted; undergo less processing; and have fewer chemicals to improve its quality and safety. Personally, having lived in another country where food and beverage are regulated and valued very differently, I see the opportunity to make a difference here in the U.S. by sharing what I have learned. So upon returning to the US after having lived in Spain, I feared that my evening tapas routine (tapas for dinner – my favorite!) would have to come to an end. Suddenly, I could not find my Spanish cured meats or cheeses anywhere. While jamón ibérico (Spanish Iberian ham) is still something I greatly miss, over time I have been able to find some pretty appetizing alternatives – or sometimes, even the real thing – in gourmet grocery stores around the US. Here are some of my favorite tapas and tips for recreating them in the US -- or wherever outside of Spain you may be. (1) Chorizo: I have found and enjoy chorizo (Spanish sausage) from the Palacios brand. This chorizo is on the spicier side, but it is very flavorful. Cut into thin, round pieces, and enjoy with crackers. (2) Manchego Cheese: Manchego cheese, depending on the cut and age, can be mild to strong. I prefer strong Manchego cheeses, cured about 6-12 months. Cut off the rind, slice thinly, and enjoy with crackers. (3) Serrano ham: I prefer the “Revilla” brand sliced thinly for taste and versatility. Because the Revilla brand is quite flavorful, thin slices are enough to provide a rich flavor. A thinly sliced piece of Serrano ham goes very well rolled around a piece of juicy cantaloupe or melon or rolled up on top of a cracker. (4) Italian salami (bonus! ): This cured meat choice is not Spanish, but it tastes much like Spain's Salchichón (“spiced sausage”), and that is why I enjoy it. I usually go for the Fratelli Beretta Gemelli salami. Cut into thin, round pieces, and enjoy with crackers. Tapas tips to impress: Planning a dinner party? A tasty tapa is best accompanied by a mild cracker, toasted piece of bread, or “picos” (small, crunchy Spanish breadsticks). Arrange tapas on a serving plate for aesthetic value and easy pickings! While living in the US is no Spain when it comes to tapas, I have been able to recreate and continue to enjoy Spain's fabulous ham and cheese plates for dinners. It has taken years of exploring various local supermarkets, but these selections are some of the best and closest-to-the-real-thing that I have tried. If you are looking for similar alternatives to Spanish tapas wherever you are, give these a try and enjoy! Have you stumbled upon any delicious tapas while outside of Spain? Which ones are your favorites? 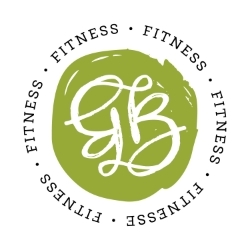 © 2018 Melanie Glover. All rights reserved.